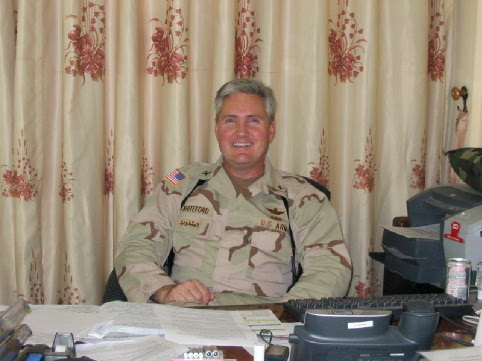 "Curtis Whiteford, a former colonel in the U.S. Army Reserves, was sentenced today to five years in prison for his participation in a wide-ranging bribery conspiracy in Al-Hillah, Iraq." I knew Curtis Whiteford and worked with him while I was in Iraq. I have written about this wide ranging and complex incident previously, in February 2007, August 2008 and June 2009. "Whiteford, 53, of Deweyville, Utah, was charged in a 25-count indictment unsealed on Feb. 7, 2007, along with former U.S. Army Lt. Col. Debra M. Harrison, former U.S. Army Reserves Lt. Col. Michael Wheeler, and civilians William Driver and Seymour Morris Jr., with various crimes related to a scheme to defraud the Coalition Provisional Authority-South Central Region (CPA-SC) ... According to testimony at trial, Whiteford and Wheeler conspired from December 2003 to December 2005 with at least three others--Robert Stein, at the time the comptroller and funding officer for the CPA-SC; Philip H. Bloom, a U.S. citizen who owned and operated several companies in Iraq and Romania; and U.S. Army Lt. Col. Bruce D. Hopfengardner--to rig the bids on contracts being awarded by the CPA-SC so that more than 20 contracts were awarded to Bloom. " I worked with Whiteford, Harrison, Hopfengardner and Wheeler at CPA-SC for five months, from October 2003 to February 2004. Debra Harrison worked for me during the period that I was there. To my knowledge, her crimes were committed after I left Hillah (she remained behind in Iraq until July 2004). I had no idea Debra or any of these other people were conspiring to defraud anyone. Debra Harrison, federal register # 60327-050, is currently residing in a minimum security federal prison in Alderson, West Virginia. Her projected release date is November 17, 2011. There was a lot of money, cash money, being passed out all over Iraq during this period. The banking system didn't work. No one accepted credit cards. Checks were out of the question. All of the reconstruction contracts were done as drug deals, with bags of cash (American dollars) handed over, moved about and stored. I read military situation reports about the movements of truckloads and planeloads of cash. I wasn't in on the money side of the business. My good friend Leo Rivera passed out a lot of cash during the same period while he was in Tikrit with the 4th Division. There was cash around, but I didn't see it, touch it feel it or smell it. And I didn't want to. Had I known that there was any criminal activity I would have reported it immediately. But I didn't know about it. By virtue of the rank Curtis Whiteford held, the oath that he took and the daily interactions that I had with him over a five month period, I had faith and confidence that Curt was executing his job as Chief of Staff properly. I spent ten months of my life living on or adjacent to the ruins of the ancient city of Babylon, so when an editorial on that topic appeared in the Wall Street Journal on Saturday, I took an interest. Entitled Myths of Babylon, by Melik Kaylan, the article made the case that the American and Coalition forces had not damaged the ruins of the ancient city, as had been widely reported in the media. I remember reading these newspaper accounts when they appeared. I thought that these media reports were inconsistent with my own observations at the time. I went to the area in and around the ruins many times, and I don't recall that they looked any different when I left than when I had arrived. In fact, as the article points out, upon arriving in Babylon in April 2003, the Marines extended their perimeter in order to protect the ruins from looters, who were hauling donkey cart loads of artifacts away daily. The man most instrumental in encouraging the Marine Commander to preserve the ruins from the looters was Emilio Marrero, a Navy Captain and the Chaplain for the First Marine Expeditionary Force. Chaplain Marero recounts these events in his memoir, A Quiet Reality, which was just published last April. Drawing on the Chaplain's book, and an interview with the author, Mr Kaylan casts doubt on the media accusations that the U.S. and Coalition forces had damaged the site. I remember the Chaplain very well. He hosted a very moving Memorial Day ceremony in our mess hall on the banks of the Shatt-al-Hillah canal, recounted in my own memoir of the events of that time, Messages from Babylon. A Marine helicopter had crashed into the canal a few days before, killing the crew. Worse, a Marine infantryman on guard duty nearby had jumped into the canal in an effort to save the crew, and drowned himself. It was probably one of the most moving ceremonies I had ever attended, and Chaplain Marrero deserves some of the credit for that. I intend to put the Chaplain's book on my Xmas list. Labels: "Messages from Babylon" "Myths of Babylon" "A Quiet Reality" "Melik Kaylan" "Emilio Marrero"
On Monday I will be attending and speaking at the International Association of Emergency Managers 57th Annual Conference, held at the Orange County Convention Center in Orlando. I will be presenting with a friend from the Salvation Army, Jeff Jellets. The title of the program is "Introducing the New Road Map for mass feeding operations." Sound exciting? It is. What has happened is almost a revolutionary change in the area of emergency management that I work in, and I am proud to have played a part in making it happen. One would think that the responsibility for feeding and sheltering (mass care) the survivors of a disaster would be a top priority for emergency managers. It isn't. At the local level, the city and county government level, this task is handed over to voluntary agencies like the Salvation Army and the American Red Cross. At the state level, little emphasis is given is given to mass care coordination. And as long as the disasters aren't big, this way of doing business doesn't cause any obvious problems. Not knowing anything different, no one complains. But when the disaster gets big, this way of doing business breaks down, and the problems float into public view, like something old and rotten dislodged from the bottom of the lake. The best example of this was Katrina. Yes, I know, the media have continually told us that it was all Bush's fault. Multiple volumes have been published detailing the mistakes that were made. I know, I read them all. But an important systemic problem that was revealed by Katrina, but one that was little discussed in the aftermath, was the lack of adequate coordination at the state level between the government and the mass care voluntary agencies. The Red Cross and Salvation Army deal with hundreds, if not thousands, of tiny disasters nationwide every day. Unless you were affected by the disaster, you don't notice that these agencies are even there. Untill your apartment complex catches on fire, and you find yourself standing in the parking lot in your pajamas, a blanket around your shivering shoulders. If you have family to call to help you out you're okay. If you don't, you must rely on the Red Cross, who arrive with hot coffee, some toiletries, a change of clothes, and a voucher for a hotel. In a flood, a tornado, or even a wildfire, things get more complicated, but the voluntary agencies have the organizational skills and experience (you should talk to some of these people; you would be amazed at what they can do) to pull in resources from out-of-state or across the country. But what happens if the Red Cross and the Salvation Army and the Southern Baptists and the Adventists send everything they have and it's still not enough? Then you have what happened in Katrina. And the Red Cross got blamed because they didn't send enough, even though it wasn't their fault. Who's fault was it? I happen to believe that not everything that happens in this world is some body's "fault." What bothers me is that I saw this mass care coordination problem before Katrina, I saw it from the inside of the disaster during Katrina, and I am distressed to say that the problem still has not been totally resolved nationwide since Katrina. On Monday, Jeff Jellets and I will explain to whoever wants to listen a first big, and important step that has been made to resolving this coordination problem. Hopefully, somebody will be there to listen. "Mr. Obama owns the war in Afghanistan. He bought it, on credit," says Kori Schake, an associate professor at the United States Military Academy, in yesterday's Wall Street Journal. During his campaign for office, the President said that Afghanistan, and not Iraq is where we should be fighting. Now, with bad military and political news coming in from the Afghan front, the President is hearing advice that says that he shouldn't have to pay the bill. According to the New York Times, Obama is listening to suggestions of a new strategy in Afghanistan promoted by that great military strategist, Vice-President Joe Biden. Biden's strategy for Afghanistan, like his previous strategy for Iraq, is nothing but retreat by another name. Biden wants to pull back from the counterinsurgency strategy that succeeded in Iraq and focus a much reduced U.S. military and political effort on attacking Al Qaeda in Afghanistan and Pakistan. Biden's strategy is the wrong one not only because it is based on a flawed set of assumptions (which it is) but because it signals a lack of will on the part of the West to fight The Long War. Regardless of how such a new strategy would be sold to a dissatisfied, war-weary American public, a fanatical, nihilistic enemy, sworn to our utter destruction, would view it and promote it to their followers as a (another) great victory for their cause. Eventually, this victory and our utter defeat in Afghanistan will become obvious to the World. Responsibility for this defeat will lie solely with the man who made the decision, President Barack Obama. The Hurt Locker is a movie about a team of soldiers in Iraq who disarm Improvised Explosive Devices, or IEDs. The movie took a while to drift from Opening Day to Tallahassee, so I had a lot of time to read rave reviews of the movie in the NYT and Wall Street Journal. I was really looking forward to seeing this flick but left profoundly disappointed on a number of levels. Mark Boal, the screenwriter, evidently spent a few weeks with a bomb squad in Iraq in 2004 as a journalist and decided to turn the experience into a movie. Neither he, nor Kathryn Bigelow, the Director, knew much about the Army nor what it was like to spend a long tour in Iraq, based on the scenes that were portrayed in the movie. If you don't care about any of that, then the movie has a lot of tense action sequences and tremendous explosions. They didn't quite meet the action-adventure movie standard, being a little short in car chases and scantily clad females, but the bomb squad trio did engage in plenty of arguing and fighting (mostly with each other). I understand how difficult it can be to properly depict a different culture like the Army, but Ridley Scott did a fabulous job of it in "Black Hawk Down." Yes, yes, Ridley probably had a lot more money the Kathryn, but it wouldn't have taken much more to address the major errors that I found in the movie. First, and most importantly, our terrible trio spend entirely too much time wandering through Iraqi cities and deserts all by themselves, either in a single Hummer working its way through Iraqi traffic, or driving in spectacular, solitary, splendor across the desert landscape. At this time and place in the war, nobody loved unless they were in convoys of at least four vehicles. Moving in a single vehicle through urban Iraq was at least as dangerous, if not more so, than disarming bombs. Plus, think about it: what if your Hummer broke down? Believe it or not, this single aspect of the script, repeated in numerous scenes, ruined the movie for me. Other parts of the movie, including the way the Iraqis were depicted, also bothered me. Jeremy Renner, the actor who played the wild man Sergeant James, who led the team, did a fabulous job. I also enjoyed the performance of Anthony Mackie, who played Sergeant Sanborn, James' assistant. Both men kept me interested in the movie. "The Hurt Locker" reminded me of the old TV series from the sixties, "Combat." It was a one hour show about an infantry squad in WW II, staring Vic Morrow. It gave me one of my favorites lines in early television ("Checkmate King Two, this is White Rook, over." says Vic Morrow as he calls his platoon leader on the radio). This squad wanders around through Europe, mostly six or eight or ten guys, all by themselves except for the occasional civilian or German soldier who happens along to provide drama for the show. Don't get me wrong - this kind of thing happened in WW II. But not all the time. Every day. For days and days. In my opinion, Combat was as much like WW II, and The Hurt Locker was as much like Iraq, as MASH was like the Korean War. I have never owned a rifle or a pistol. The Army taught me how to use a rifle and a pistol and even lent me one or the other to use occasionally. I never carried a loaded weapon anywhere other than an Army firing range until I got to Iraq. When I was a young Lieutenant an older officer gave me some advice that stayed with me throughout my career, "You can tell the Army is serious when they give you a flak vest and live ammunition." In March 2003 I was sitting on a cot in a hangar in Kuwait, waiting for the Word to go forward into Iraq, when the company supply sergeant issued me fifty rounds of 9 millimeter ammunition for the pistol I carried in a holster on my hip. I had already received my body armor in Ft Bragg, and it was lying on the cot beside me. As I loaded those rounds into a magazine I thought about the officer's advice and about how right he had been. For the next 340 days I rarely, if ever, went anywhere without my pistol, usually unloaded. Whenever we went out to visit the local populace I locked the slide to the rear, inserted the magazine and then released the slide so that the spring could slam the slide forward with a distinctive, metallic sound and insert a round into the chamber of the weapon. Often, the metallic sound of my pistol chambering a round was echoed by many soldiers around me as they loaded their own weapons. Later, as Iraq grew more dangerous, I began to carry a rifle with me, so I had two weapons to load and twice as much ammunition to carry. When we returned to the relative security of our base we unloaded our weapons. The military was very serious about exact procedures for loading and clearing weapons. A sawed off 55 gallon drum, filled with sand, was placed at the entrance to every military post in Iraq for use as a clearing barrel. The idea was to unload your weapon, point into the clearing barrel and then fire. Hopefully there would be no sound and the weapon would be confirmed as unloaded. Sometimes, that was not the case. A young, Air Force Lieutenant remembered the part about taking the round out of the chamber but forgot the part about removing the magazine. Fortunately, he remembered the part about aiming into the clearing barrel before pulling the trigger. The sound of a gun shot is always unwelcome in a combat zone, especially inside the perimeter. The Lieutenant, horrified at his mistake, compounded it by repeating the error. He hastily pulled the slide of the pistol back, removing the round from the chamber. But without removing the magazine all he did was add another live round to the chamber. Once again he pointed the pistol into the clearing barrel and once again he buried another round in the sand. The Lieutenant was saved from further embarrassment by an Army sergeant who took the pistol from his hand and removed the magazine. I understand that the Air Force is a suitable substitute for military service. The senior sergeant at my location gave the Lieutenant his pistol back, with one bullet. We took to calling him Barney Fife. I never fired my weapon in Iraq except on a practice range. A few times I felt compelled to draw my pistol, but I never pointed it at anyone. On several occasions I got out of my vehicle and with a drawn weapon led my convoy of vehicles through a crowd of people. I can still see the faces of the Iraqis as they saw me, pistol drawn and pointed at the ground. I could see a barely perceptible shudder run through the crowd as pressed back away from me, reacting to the man with the gun in his hand. Fortunately, I carried no terrible memories home with me from Iraq. Yet, to this day, like a tiny film in my head running on a loop, I will be walking innocently and alone across a parking lot, and then I will feel the pistol in my hand, and sense the fear of the Iraqis around me. The feeling that comes over me is always the same, like I have suddenly been possessed with a great and terrible power. I have not had a pistol in my hand, loaded or otherwise, since February 28, 2004, when I returned to Kuwait from Iraq. I gave my pistol back to the Army and never saw it again. Sometimes, during those chance moments, I can still feel it in my hand again. I actually look at my hand to see if it is there. It never is. I first met Debra Harrison in November 2002 in Norristown, PA where I was working with the 358th Civil Affairs Brigade to get them ready to go to Iraq. In March 2003 we deployed together with the unit to Kuwait, and then on to Iraq in April. A non-combat injury kept Debra in Kuwait for most of the summer, so I didn't get to see her very much. In September 2003 General Sanchez decided that all Reservists were going to stay the full 365 days in Iraq, instead of heading home early like some of us were hoping. Our original mission with the Marines had ended (the Marines were sent home) and some of us assumed, incorrectly, that we were going to go home, too. Instead, the unit was split between Tikrit, Kuwait, Baghdad, southern Iraq and Al-Hilla, where we had been living the past five months. I was assigned to Hilla with the mission to be the civil affairs liaison from the Baghdad Headquarters to the Multi-National Division in south central Iraq. To perform this critical function for the war effort I was given Major Debra Harrison, Lieutenant Tamara Montgomery, Lieutenant Alicia Galvany and Specialist Mike Green. Not much of an Army, but deemed adequate for the mission by our Commander, Colonel Rob Stall. The five of us stayed in Al-Hilla from October 1, 2003 to February 28, 2004. Debra and Tamara volunteered to remain in Iraq so they returned to Hilal in March. Tamara's stay was short, as she was wounded in an ambush in Baghdad in April and medically evacuated home. Sometime in the first three months of 2004 Debra Harrison became involved in a criminal enterprise operating in the Coalition Provisional Authority Headquarters there in Al Hilla. The conspirators, all of whom I knew very well, one of whom was the Chief of Staff and four of whom were field grade Army Reserve officer, were taking bribes from an American contractor in exchange for funneling lucrative projects to the contractor's company. They weren't very good criminals, or Army officers for that matter, since they left a treasure trove of evidence for investigators in the CPA email system. Debra got a new car and three hundred thousand dollars in cash which she poured into improvements in her house. She was recently sentenced in federal court to 30 months in prison and ordered to pay $366,000 in restitution. I haven't seen or talked to Debra since she said good-bye to me in Kuwait in March 2003 and then caught a ride with Tamara back to Hilla and Iraq. I was contacted by the lawyers, both prosecution and defense, about the case but I didn't have any information about whether Debra was guilty or innocent. The buds of the conspiracy sprouted when I was there but most of the criminal activity happened after I left. I keep coming back to this sordid episode in my posts as new developments occur, vainly looking for a moral to the story. I am sure that emotions often cloud my vision of what happened. I am curious what rationalizations or self delusions went through Debra's and the other defendants minds as they rubbed their hands together and plotted to betray me and everyone else who served there during that period for something as base and meaningless as money. I am sure that they, their family and friends have eloquent and long winded excuses for the actions that they took. The comments that Debra's family has posted to my blog are good examples of this. I never took sides for or against Debra in this episode until she was convicted by a court of law, even though I read the indictment and knew that she was in all probability guilty. All the prosecutors had to do was to read her emails. Two more of the conspirators have yet to be sentenced, Colonel Curtis Whiteford and Lieutenant Colonel Bruce Wheeler. The final chapters of this story have yet to be written. Labels: "Debra Harrison" Iraq Hilla CPA "Civil Affairs"
The 2009 Governor's Hurricane Conference ended today, Friday, May 15, 2009. I flew to Ft Lauderdale from Tallahassee for the Conference on Wednesday and returned today. The depressed economy and equally depressed tax receipts cut down on the number of exhibitors by about a third and by the number of attendees by about half. I usually come for the entire week but this year I cut it short. Nevertheless I found the Conference to be very educational and useful. I enjoy hearing from the counties and the very real emergency management problems that they have to deal with. Lee County gave a very good presentation on the flooding they endured from Tropical Storm Fay, and the 500 migrant workers and their families that they had to shelter for over seven weeks. Their response to the situation was a textbook operational displaying all the right cooperation and coordination that so often does not happen. The big news for the week, and much discussed at the Conference, was Craig Fugate's confirmation as the FEMA Administrator and Ruben Almaguer's appointment as the Interim Director of Emergency Management for the state. In the General Session on Wednesday afternoon Joe Becker, Vice-President for the American Red Cross, said the Washington, D.C. was about to experience Hurricane Craig. I said, and still believe, that Craig is going to change FEMA or get fired. I met an interesting gentleman, Keith Loeb, who was a former Special Forces Master Sergeant. He had owned a company that established kitchen sites in disasters, primarily for responders and firefighters. I discovered that Keith helped established the base camp for 1,000 persons in Hancock County, Mississippi in September 2005 after the impact of Hurricane Katrina. "I stayed in that base camp," I told him. We both marveled that we had spent that much time there and didn't remember seeing each other. To be honest, it was three and a half years ago and there were a lot of people there. We also discovered that we were both in the Baton Rouge Emergency Operations Center last September during Hurricane Gustav. We didn't remember seeing each other there either. Maybe we're both not very observant people. I do remember that he is a very big man and that I wouldn't want to get into an a heated argument with him. It's called scenario based catastrophic planning. Pick a suitably awful disaster and write a plan to meet that specific disaster. What everyone learns from the planning process and the disaster plan developed by that process will be useful in all future disasters. After two years of work on our catastrophic plan I can say that scenario based planning works. As a result of the lessons learned from Katrina FEMA began funding catastrophic planning with specified state and local jurisdictions. There was a hurricane plan for Hawaii, two earthquake plans for California (one North and one South), the New Madrid Earthquake plan for Missouri, Arkanasas, Tennessee and surrounding states and a hurricane plan for Florida. I think that this is the best money that FEMA has spent in the last two years. The scenario for Florida is particularly horrific: a Category 5 hurricane that hits Broward County (Ft Lauderdale) head on, devastates much of Dade and Palm Beach counties, then crosses the state and exits Tampa Bay as a Category 2 storm. The consequences are much worse than anything we experienced in Katrina. Working on this project has been the equivalent of studying for a graduate degree in emergency management. The project was organized into workgroups: debris, search * rescue, medical, animal issues, education, community stabilization, disaster housing, environmental protection, law enforcement, fuel, health & welfare, host communities, infrastructure, logistics, public information, volunteers & donations. I was made chairman of the mass care feeding and sheltering workgroup, along with my good friend from FEMA Region IV, John Daly. Many of the problems that we addressed were interrelated with the other workgroups, requiring us to rapidly become familiar with the basics of each discipline. Many of the problems that we dealt with had never been encountered before in the United States, or if they had been encountered then on a much smaller scale. Over the course of the two years we had to absorb new members to the workgroups. The learning curve for new members was steep. The consequences document, which explained the impact of this single storm on the state, was one hundred pages long. The complexity and scale of the problems required us to invent new ways of doing business in emergency management. It has been a very interesting and exciting ride. As the new members join or are introduced to the project I have observed that they pass through five very well defined stages. The first stage is disbelief. The catastrophe is so big that they can't conceive of a solution. "We can't do this," they say. In the second stage they challenge the assumptions. To generate a one hundred page consequence document for an imaginary hurricane, certain assumptions must be made (the hurricane was real, and passed along the identical track in 1926, only a lot fewer people lived there than do now). In this stage the newbies start reading the fine print of the consequences document and declaring that the assumptions are wrong. One group of federales, when told the scale of the response required, responded that the scenario needed to be changed. Comments in this stage are along the lines of, "That can't be 1.8 million people, it most likely is 1.1 million." The answer, of course, is that it doesn't matter if it is 1.8 or 1.1 million, that's still a lot of people. Some people wallowed in this stage for month, arguing over angels dancing on the head of the pin. The third stage is resignation. Exhausted from fighting the assumptions, they stare at the numbers and shake their heads. They know that they have to write a plan but they are clueless. The common refrain at this stage is, "I have no idea how we're going to do this." In the fourth stage they awaken from their lethargy and with a burst of energy focus on the small and extraneous. They are going to reach the big solution by developing a bunch of little ones. Or they want to bite off a small bit of the problem and solve that. An example of the kind of thinking that arises at this stage is, "Let's make sure every survivor has a toothbrush!" We can spend many an hour chasing our tail on that one! Actual productive planning doesn't arrive until the fifth stage. "I've got a good idea!" The best work happens when we have a room full of people operating at the fifth stage. For the willing, moving through the five stages can take a matter of days. For the unwilling, the process can last months. We would sit there and nod our heads. Yes, we thought of that. Yes, we tried that. Yes, what you are saying is correct but it's not the solution - there is no silver bullet. Yet, after two years we have gone where no emergency managers have gone before. We have written a plan. I know that we have a pretty good mass care feeding and sheltering plan. The first week of June the state of Florida will be holding a hurricane exercise to test this catastrophic plan. FEMA will be there in abundance. I believe that in my my area, feeding and sheltering, this will be the largest and most complex exercise ever conducted in the nation. When I get the chance, I'll tell you how it turns out. I spent this week at the 2009 National Hurricane Conference in Austin, Texas, a city that I have never visited before. For some reason there were a lot more Texans at this conference than at previous ones I have attended. This was a good development because Texas has the most recent experience in hurricanes, having weathered a major impact from Ike last year. Our friends from Louisiana were also in attendance and shared their experiences from their encounter with hurricane Gustav. The consensus from the people I spoke to, federal, state and private sector, is that Louisiana's emergency management prowess is not there yet but that they are much improved. Of particular note was that they managed to evacuate New Orleans in advance of Gustav without major incident. The two most frequent questions that I received at the conference were : 1) Are you going to Washington with Craig Fugate when he takes over as the new administrator at FEMA? and 2) Who will replace Craig at Florida? My answer to the first question was "No!" and my answer to the second question was "I have no idea." And I don't. But I heard more rumors about the second question in two days at the conference that I had in a month while in Tallahassee. I will trust in the Governor to make the right choice. The Femites that I spoke to from around the country are understandably curious and/or concerned about the arrival of a new boss of Craig Fugate's reputation. What I know about Craig from working with and listening to him for ten years is that he is not a micromanager, that FEMA is not a first responder, that the states and localities must do more and develop more capability, and that private citizens must be survivors and not victims after a disaster. Craig's emphasis on not using the term victim but rather survivor is not some offshoot of political correctness. A victim is someone who is hit by a disaster and then waits for the government to come and save them. A survivor is someone who takes an active role in helping themselves and others. Emergency managers can't do it all. We need some help from the citizenry. The President announced yesterday that he was nominating Craig Fugate, the Director of the Florida Division of Emergency Management, to be the Administrator for the Federal Emergency Management Agency, or FEMA. I have known and worked with Craig for over ten years. His appointment to FEMA is a great loss to Florida but a gain for the country. We received an email yesterday morning stating that Craig had called an "all hands" meeting at the State Emergency Operations Center at 1 P.M. We had heard the rumors that he was up for the job and assumed that this was the big announcement. Over lunch the secret leaked into the media and by the time Craig arrived at the EOC the room was full and expectant. There were still a number of us in that room who had endured that grueling six weeks in 2004 when the state was hit by four straight hurricanes. The following year we were hit by another four hurricanes, plus the large deployment of Floridians to southern Mississippi after Katrina. But there were a lot of new, young faces in that room, and the hurricanes are still just as big and dangerous, but Craig won't be there with us this summer if the storms come back. Craig doesn't make long speeches, whether he is praising us or yelling at us. He was full of praise for all of us and for the rest of the State Emergency Response Team. We are recognized around the country as the Super Bowl Champs of state emergency management. There were some old hands, no longer with us, that I wish could have been in that room to hear that speech. All too quickly Craig was finished and walking out of the room, to a standing ovation from everyone present. I am sad to see him go. When he walked through the door I could feel a part of the burden that he carried shift on to my shoulders. Even Super Bowl Champs are only as good as their last game. After four years of work, multiple drafts and rewrites, I have judged my novel, the Lion of Babylon, ready to face the public. All I need now is an agent, publisher and contract. If it only worked that way. In case anyone has checked the bestseller list lately, there isn't a lot of Iraqi war fiction on there. There isn't much Afghanistan war fiction either. Evidently, the American public is not interested in those kinds of stories. That's all right. Someday they will be. In the meantime I have entered my novel in four contest. Contests are good in that if you win you can add the credit to your query letter to an agent. Contests are bad in that you might lose, because there are a lot of good writers out there. That's okay. I'm a good writer, too. In February I entered the Amazon Breakthrough Novel, sponsored by Amazon.com. The top 500 entrants will be announced on March 16th, and an excerpt from their novel posted on the Amazon web site. By April 16 the 500 will be cut to 100 and by May 16 the 100 will be cut to three. The following week the grand finalist is named, and that person gets a publishing contract with Penguin. Such a deal. To enter the ABNA contest I had to submit a 300 word "pitch" on my novel. All of the initial entrants are narrowed down to two thousand based on this pitch. They read an excerpt of the first 5,000 words of the novel for these two thousand and select the 500 based on the excerpt. So the pitch is important, only until you make the two thousand, when the excerpt becomes important. "The Lion of Babylon", an 83,000-word novel, is a fable of men and women, Muslims and Christians, Americans and Iraqis, who look into their futures during a time of war to decide what will become of their lives. Haider, an Iraqi boy who can see the future, foretells the coming of the American Army and of a man who will help him complete his lifelong dream. 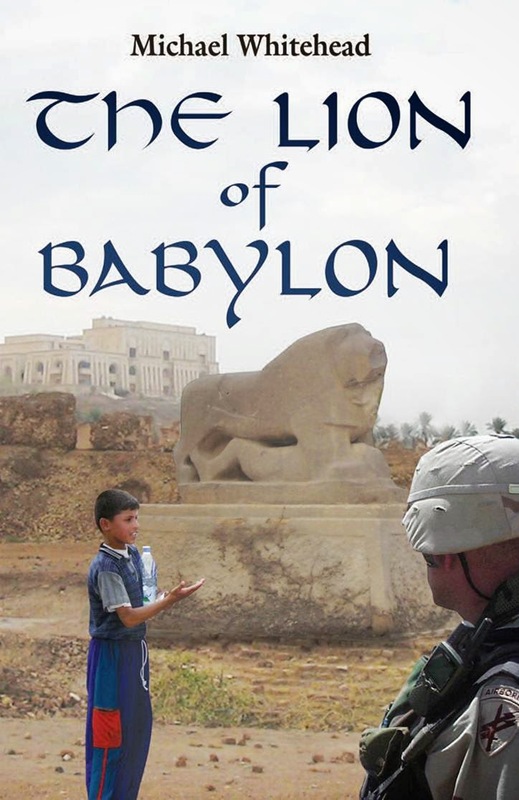 The Lion of Babylon, a statue in the ruins of the Biblical city, is the source of Haider's power and the key to unlocking the secret of his past. Haider meets Dan Murphy, a soldier with a personal mission to win the war, but can't tell if he is the man foretold by the Lion. In desperation, Haider teaches Dan to see the future, but the man and the boy envision two different versions of life and death for Murphy and his fellow soldiers. Haidar's quest has its parallel in the wartime struggles of an ensemble of characters that includes an indecisive Army colonel, a young lieutenant out of her element, and a religious soldier with a crisis of faith. As they navigate both personal and military battles in a war zone, they discover the humanity that lies within the Iraqi people and their own reserves of strength. The Lion of Babylon touches their lives and grants Haidar the answer to his past and his future. This novel will resonate with readers of "The Kite Runner". My inspiration for this story came from the ten months that I served as an Army officer near the ruins of the city of Babylon. My essay on the Iraq war was selected and recorded by the "This I Believe" Project, and was featured on National Public Radio's web site during Veteran's Day in 2007 and 2008. The Army Times and National Public Radio recently reported on the growing suicide rate in the Army. The number of suicides has increased every year, growing from 87 in 2005 to 143 in 2008. The Army is aggressively trying to address the issue, but has been unable to find a specific cause of this increase. The question arises as to whether the increase in suicides is directly related to the increase in combat deployments and "stress on the force" that comes from fighting two wars with a much smaller Army than existed in the Cold War era. While 35% of the suicides from this period were soldiers who had not deployed, 78% of those who committed suicide while deployed were on their first tour. The immediate response by the Army is to require 2 - 4 hours of training on suicide prevention and identification across the force. This training will be conducted between February 15 and March 15. In the summer of 2003, while I was in Iraq, the number of suicides increased dramatically for units deployed in that country. I vividly remember the suicide of a civil affairs captain that occurred at Camp Babylon while I was there. The man had a wife and children. The Army leadership responded in the same manner by requiring suicide prevention and identification classes for all of us. I do not know enough about suicides or their causes to be able to say that the strain on the Army from multiple long deployments in a combat zone would be a source of increased suicides. Ultimately, the Army is made up of people, and the many complexities of the motivations and situations of the soldiers in the force should preclude any sweeping generalizations. The trend, however, is disturbing. Out of the blue I received an email from a member of Ambassador Bremer's Blackwater Personal Security Detail (PSD). He had visited my web site and seen the pictures that I had taken of Bremer's visit to Karbala in February 2004. The emailer accompanied Mr. Bremer as a part of his PSD during that visit. 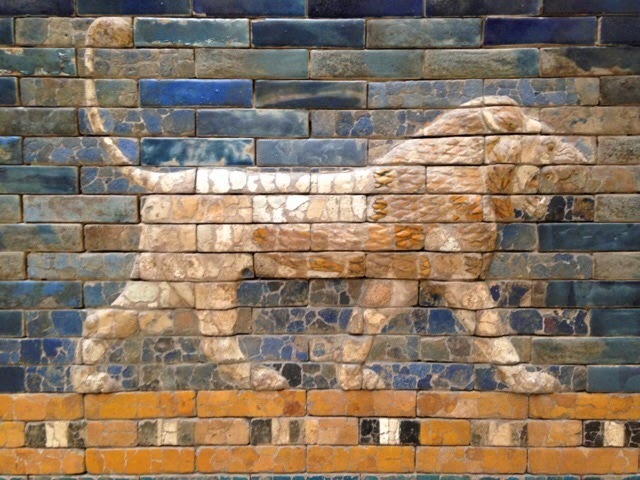 I also wrote about the visit in my book "Messages from Babylon." The man asked that I keep his name confidential and I will honor his request. He explained that anonymity was important for those in that line of work, and I imagine he wanted to continue working in that area. Evidently, current and former members of Blackwater are a tight fraternity and they stay in contact with each other. Thus, I learned from this gentleman's email that three Blackwater employees who were in Karbala with us that day would later die in violent deaths. Two of the men's deaths came shortly after the visit. One of the three was Jerry Zovko, a Croatian-American, former Army Ranger, and one of the four Blackwater employees who were ambushed and killed in Fallujah on March 31, 2004. Much has been written about Blackwater and their activities in Iraq and other places. The name Blackwater has almost become synonymous with controversy. I don't have a lot of first hand knowledge about the controversies and didn't take the time to read all the books and articles about what the firm's employees did or did not do. I can comment on what I know. Iraq was a tough place to try to make good, informed judgements and decisions. Everything was so strange and alien that situations were difficult to place into some kind of context. And context was everything. In order to compare the different possibilities, or courses of action, one had to evaluate these possibilities against your base of knowledge or known experiences. And to be honest with you, sometimes as I searched for an answer I realized that even though I was fifty years old and had been in the military 28 years I didn't have the knowledge or life experience to make an informed decision. But the decision was mine to make and no one else's. The toughest part was that my decision might mean life or death to someone, possibly me, or even worse, someone else. So many of the decisions would seem innocuous to the casual observer. Should we go this way or that way? That's not too difficult a decision in Tallahassee, but is one with wider ramifications in Baghdad. Should we go today or tomorrow? Sometimes today looked a little too dangerous, so I went the next day. Thank God I didn't make any decisions that got anyone killed. That's why I hesitate to criticize decisions made in a combat zone. "Why, that was obviously a stupid decision," you might say. Very little was obvious in Iraq, or that clear, or defined, or crystalline. The men in the Blackwater PSD that I saw in Karbala on that February day in 2004 looked like they were trying very hard to do a very difficult job as professionally as they could. I could see that they were under a lot of stress. I can't speak to what the rest of the Blackwater people did or didn't do. I wasn't there. I didn't know what they new at the time of the decision. And even if I did, I wouldn't be quick to criticize.